This is my first foray into homemade pasta – and vegan pasta at that! I’ve always been nervous of making pasta from scratch, for a few reasons. First, I assumed you needed a pasta machine (which you don’t). Second, I assumed it would require a lot of skill (which it doesn’t). 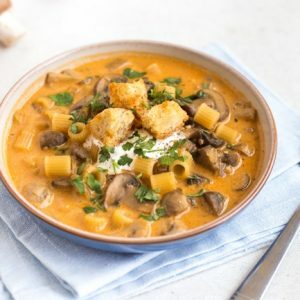 So, why vegan pasta – and why now? 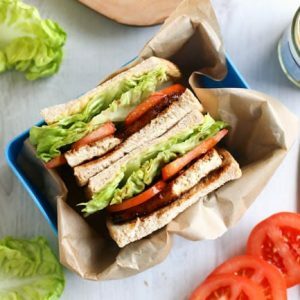 Well, back in January I spent a lovely day in Manchester at the Vegetarian Society Cookery School to celebrate the fact that Cranks are now Veg Soc approved (which I wrote about last year!). 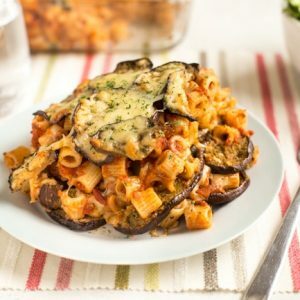 As part of the Vegan Toolkit Workshop, four of us (me and three other vegetarian bloggers, Choclette, Chris and Shaheen) all cooked approximately a million different vegan recipes in just one day – one of which was vegan pasta! During the class we made the vegan pasta using a fancy machine, but since I don’t think I could fit another gadget in my kitchen if I tried (no lie, about four appliances live under my stairs because there’s no room anywhere else), I decided to give it a go at home using just my own two hands. I honestly can’t believe how easy vegan pasta is to make. Here’s how. Start by mixing up the dough. All you need is pasta flour, water, and a little olive oil – that’s it! 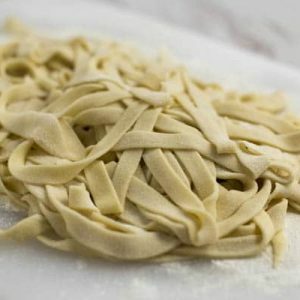 For obvious reasons, vegan pasta skips the egg that you’d usually use in pasta dough, so the resulting pasta does have a slightly different texture – it doesn’t have as much of a bite to it as normal pasta does. In all honesty (because if I can’t be honest on my own blog, where can I be? ), I probably prefer pasta with egg. 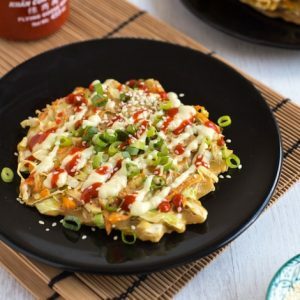 But if you’re vegan, or can’t have eggs for any other reason, this vegan pasta recipe is definitely worth trying, and it did make for a really tasty lunch. 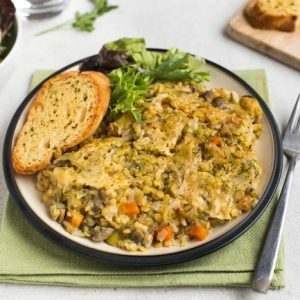 Even if you just don’t happen to have any eggs in the house, making vegan pasta is definitely a better option than having to go out and buy some – although, this is coming from a very lazy person, so do with that what you will. Once you’ve kneaded your dough for a couple of minutes, pop it in the fridge to rest. A few hours is ideal, but I only left mine for one hour, and it still worked just fine. If you don’t leave it to rest, it will be really springy and tricky to roll out, so you’re doing yourself a favour by leaving it a while. Go and have a bath or something. 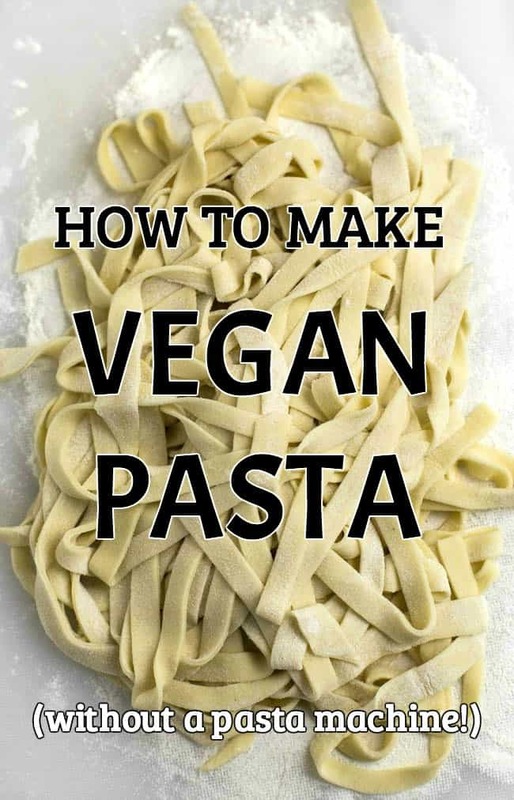 Then it’s just a case of shaping the vegan pasta into whatever shape you like. 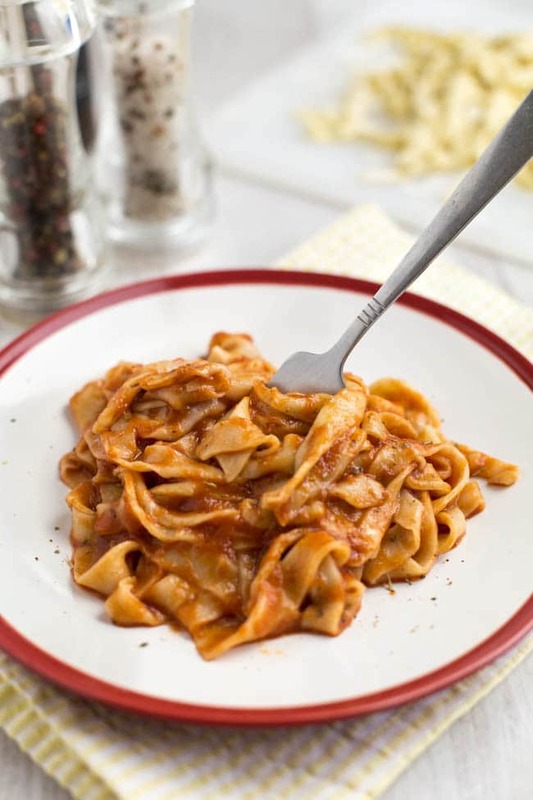 I went for tagliatelle, since I knew it was really easy – just flatten it out, loosely roll it up, and cut it into strips. In the class, we made ravioli, which was equally easy. Up to you. This pasta takes just seconds to cook. Don’t overcook it, or you’ll end up with a sloppy mess (not unlike me after a few glasses of wine). The second the pasta floats to the surface of your salty water, it’s time to fish it out, or pour it into a strainer. Mine literally took about twenty seconds to cook – just enough time to quickly snap a photo! Be aware that vegan pasta is a little softer and more delicate than egg pasta, so be gentle with it when you lift it from the water. Then just drizzle it in olive oil or toss it with your favourite vegan pasta sauce, and it’s ready to serve. Voilà – homemade vegan pasta. Nom! Disclosure: This is not a sponsored post. I did receive a day at the Vegetarian Society Cookery School free of charge, but was not otherwise compensated for this post. In a large bowl, combine the flour, salt, water and olive oil. Using a clean hand, mix well to form a dough. On a lightly floured surface, knead the dough for 5 minutes. Wrap the dough in cling film, and leave it to rest in the fridge for at least an hour. When the dough has rested, unwrap it and cut it into 4 pieces. On a lightly floured surface, roll out the dough with a rolling pin. After every few rolls, turn the sheet of dough over, and rotate it through 90 degrees, then continue rolling. You want to end up with a very thin sheet, in a roughly rectangular shape. Lightly dust the sheet of pasta dough with flour, then loosely roll it up. Cut the roll into strips (wider strips will give a wider tagliatelle). Unravel each piece, and set aside onto a floured board. Repeat with the remaining three balls of dough. When you're ready to cook the pasta, bring a large pan of water up to the boil, flavoured with a generous pinch of salt. Add the pasta, and cook just until it starts to float - anything from 20 seconds to a couple of minutes. Don't overcook. As soon as the pasta is cooked, drain it and serve with your favourite vegan pasta sauce. 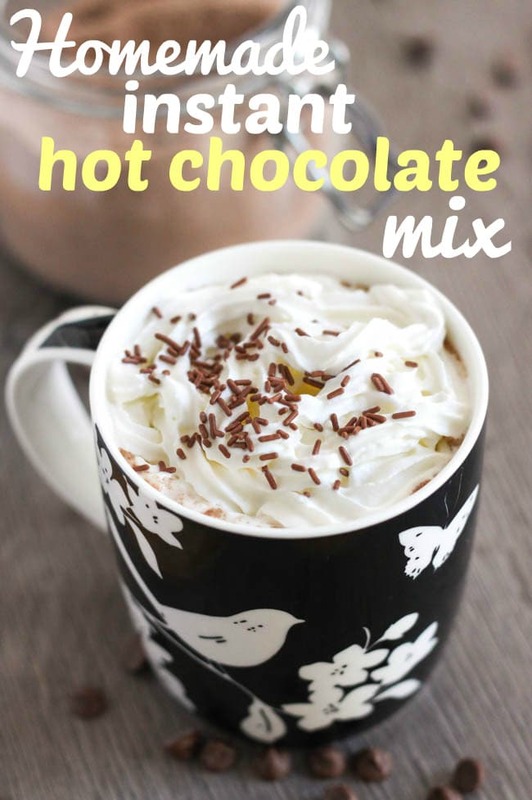 If you love making things from scratch, have you ever tried making your own instant hot chocolate mix? Just add water! This is good news for those who don’t have a pasta maker yet! I love homemade pasta and now I know what to do if ever my own pasta machine breaks and I crave for a homemade pasta. Thanks! 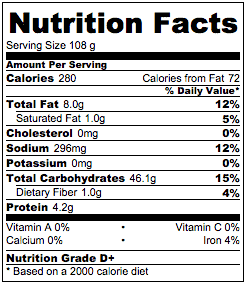 I have read similar recipe in other blogs but none of them have this flair of excellent descriptive illustration. Thanks for sharing.. 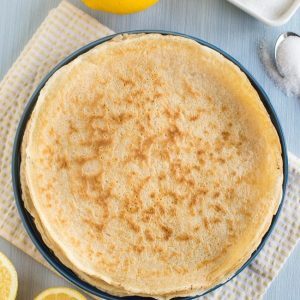 I use a potato ricer to make mine – this is incredibly quick, and you can use a gluten-free flour like gram flour (my favourite) or buckwheat flour to make them. 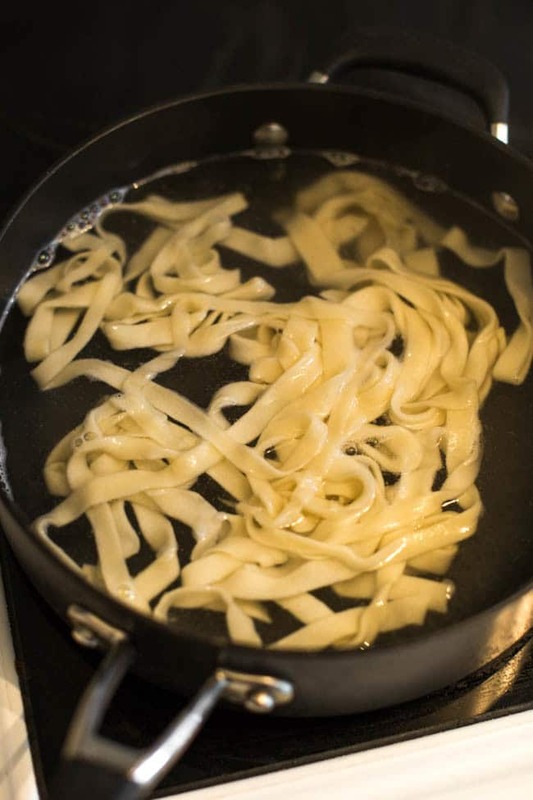 My ricer has three discs, and I use the one with the widest, and furthest-spaced holes to make the pasta – you whizz up the dough, put it in the top of the ricer, and press it straight through into boiling water. The result is a bit coarse – not suitable for fine pasta dishes, but wonderful with a hearty, beany, sauce. That’s a brilliant idea – instant spaghetti! However, do NOT use gram flour and bind it with tahini – it doesn’t stay bound in the boiling water (guess how I know that!)…. not sure what would bind it. I’m sure I’ve used gram flour and an egg before now, but that would not be vegan…..
Haha oh well, always worth trying things once! Looks fabulous, love the top photograph too! I always thought that making my own pasta would be way out of my league cooking wise but it looks like I just might be able to do this. Thanks for the recipe! This looks super impressive! I would love to give it a go. I definitely don’t have space for another gadget!! 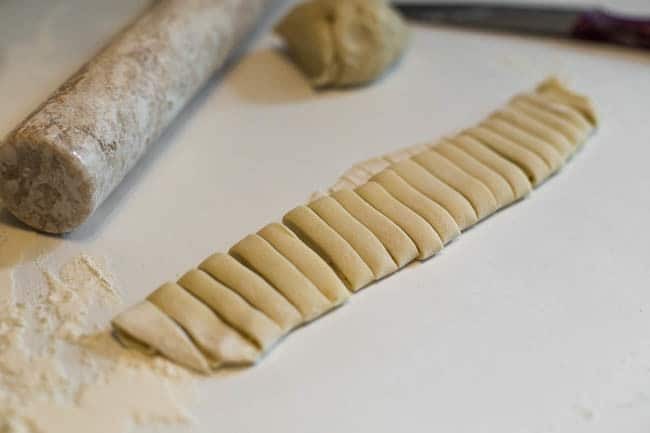 But actually I found it was really easy to just roll the pasta by hand, it wasn’t difficult at all :) It definitely helps to rest the dough for a while though, so you can roll it out easily without it being too springy. Wow! 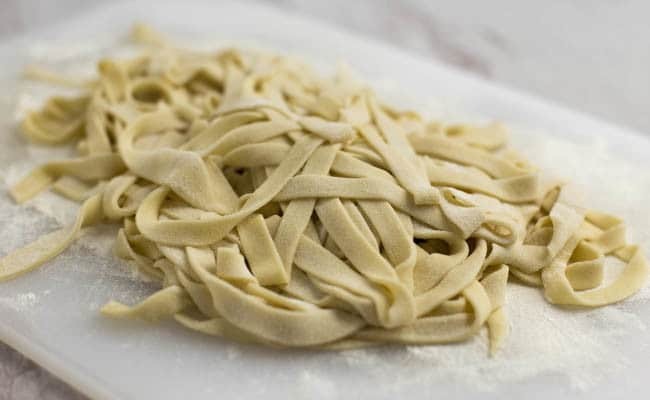 This is a revelation to me…I tried making pasta once, ages ago, and even though it was tasty, my noodles were all uneven widths because it never occurred to me to roll it up before cutting like you did. 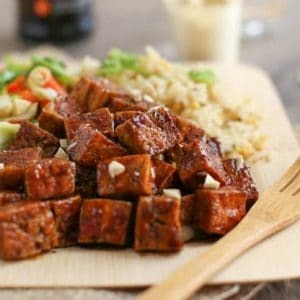 I’m so giving it another try using your recipe and technique! Rolling it up makes it so much quicker and easier – as well as helping you to get even strips :) Give it a go!